Dr. Dian is a Pediatric Dentist and a Clinical Assistant Professor at the University of Buffalo School of Dental Medicine. A native of Trinidad, she went to Dental Nurses Training School in her home country before earning her Bachelor of Science Degree from Howard University. Dr. Dian earned her Doctor of Dental Surgery degree from the University of Buffalo School of Dental Medicine. She is a highly decorated dentist who strives to give back and make a difference for others. 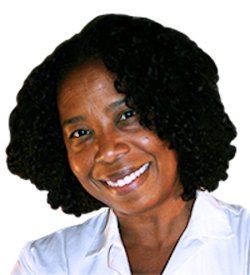 Throughout her career, Dr. Dian has been earned the following honors and awards: UB Dental Alumni Association Humanitarian Award; Give Kids a Smile Day Institute Award Recipient; Minority Dental Faculty Development Award for Scholarly Activity; Dental Women’s Guild Scholarship; Tucker Scholarship, Howard University Zoology Department Award For Excellence and the Who’s Who in American Colleges. Dr. Dian has written, researched and presented extensively on a wide range of subjects within the dental profession. She’s currently a member of the American Academy of Pediatric Dentistry, the 8th District Dental Society, the American Dental Education Association, the National Dental Asociation and the American Dental Association.